Urban funk meets modern dance. 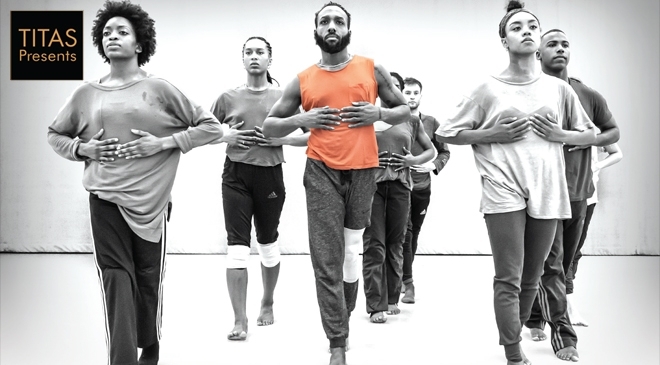 MacArthur “Genius” Award recipient Kyle Abraham has forged a meteoric rise to stardom for his unique and compelling choreography. His dancers move with truth, earthiness and an elegance. A.I.M’s master class will emphasize four specific core values: exploration, musicality, abandonment, and intuition. Opening warm-up sequences will focus on the fluidity of the spine, articulation, and core body strengthening. The class will build to challenging, creative, and invigorating phrase work. Students will experience a personalized post-modern movement vocabulary full of intricate gestures and fearless floor work. All levels ages 12 and up. Students should be prepared for an invigorating class. Walk ups welcome!